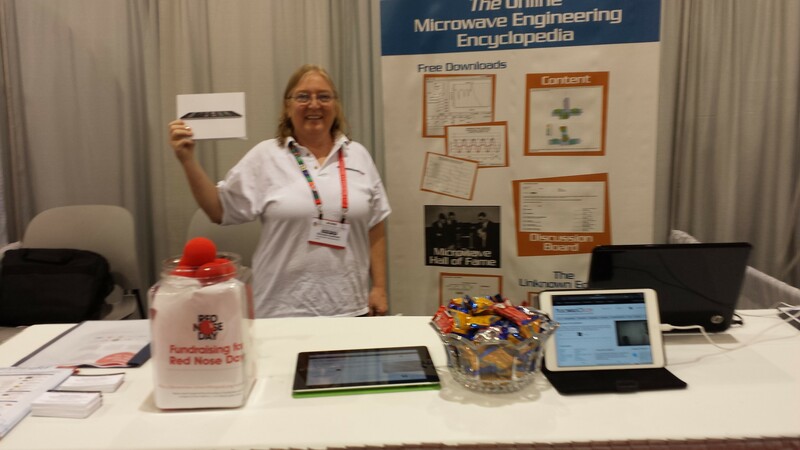 Once again, we had a booth at the IEEE MTT International Microwave Symposium, this time around in Phoenix, Arizona. As always, we were showing off the Microwaves101.com website, this time with new, responsive design. 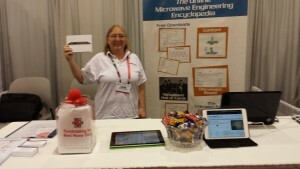 As you can see, we had laptops and iPads and phones for demos, and we even gave away an iPad mini. In a new twist, it was also Red Nose Day. The idea here is to have a bit of fun and silliness and donate to help fund organizations that help children around the world. 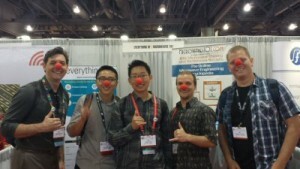 Here’s a few of our friends from the University of Hawaii getting into the spirit! Need even more about our experience this year? Get ALL the details and even more great pictures over at the Unknown Editor’s Recap column.